Flying Head is a telepresence system that remotely connects humans and unmanned aerial vehicles (UAVs). UAVs are teleoperated robots used in various situations, including disaster area inspection and movie content creation. This study aimed to integrate humans and machines with different abilities (i.e., flying) to virtually augment human abilities. Precise manipulation of UAVs normally involves simultaneous control of motion parameters and requires the skill of a trained operator. 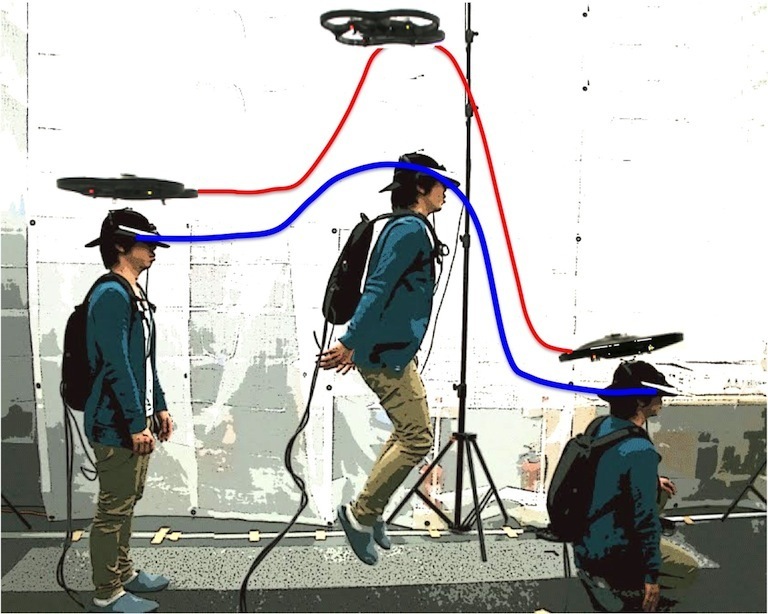 This paper proposes a new method that directly connects the user’s body and head motion to that of the UAV. The user’s natural movement can be synchronized with UAV motions such as rotation and horizontal and vertical movements. 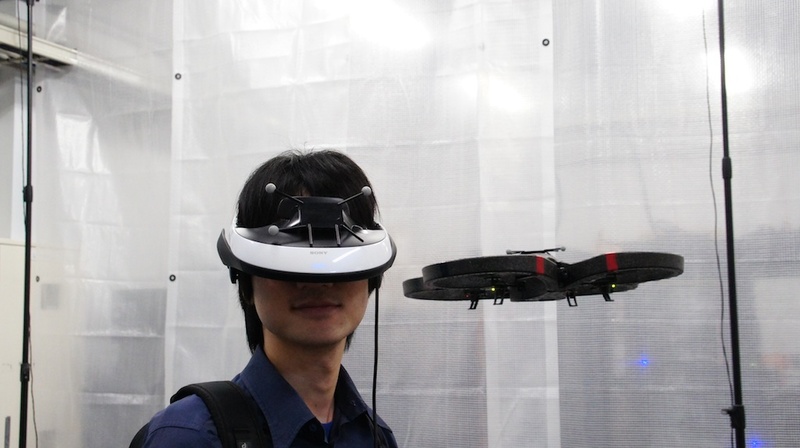 Users can control the UAV more intuitively since such manipulations are more in accordance with their kinesthetic imagery; in other words, a user can feel as if he or she became a flying machine.